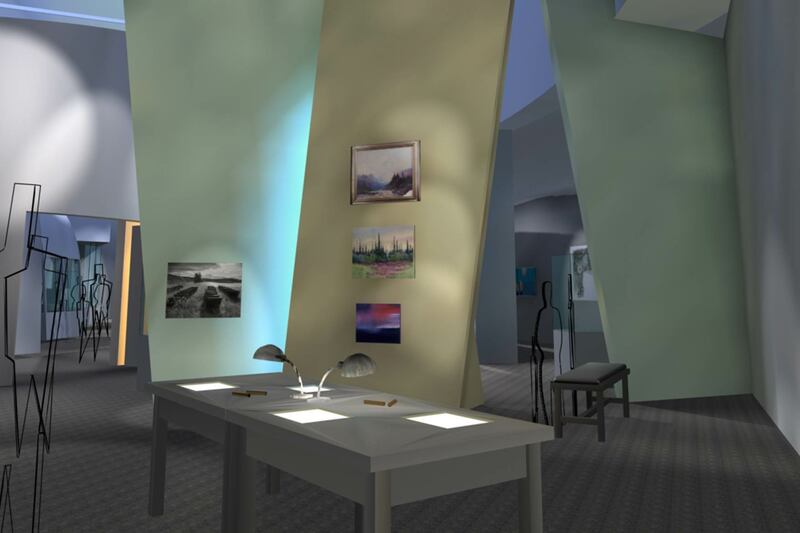 Lehrman Cameron Studio was commissioned to design the new galleries when the University of Alaska expanded. 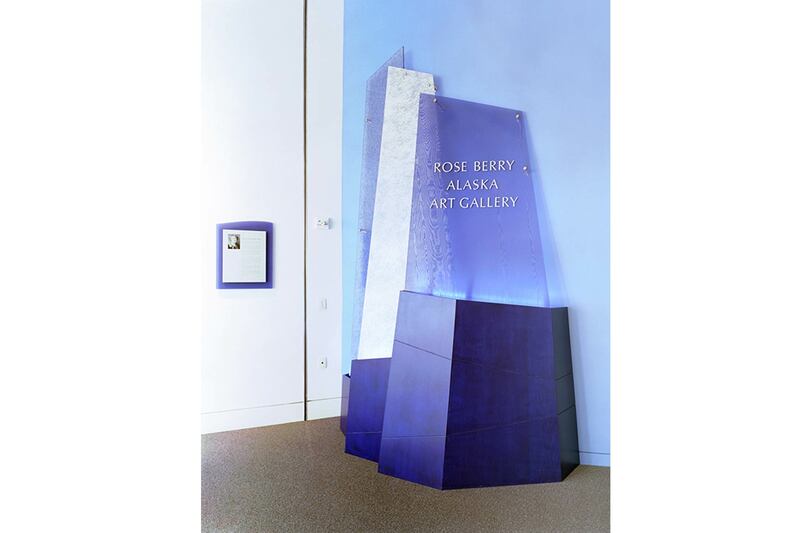 Mindy’s concept for this was inspired by the awesome landscape, calving glaciers, and extreme light and temperature found in Alaska. 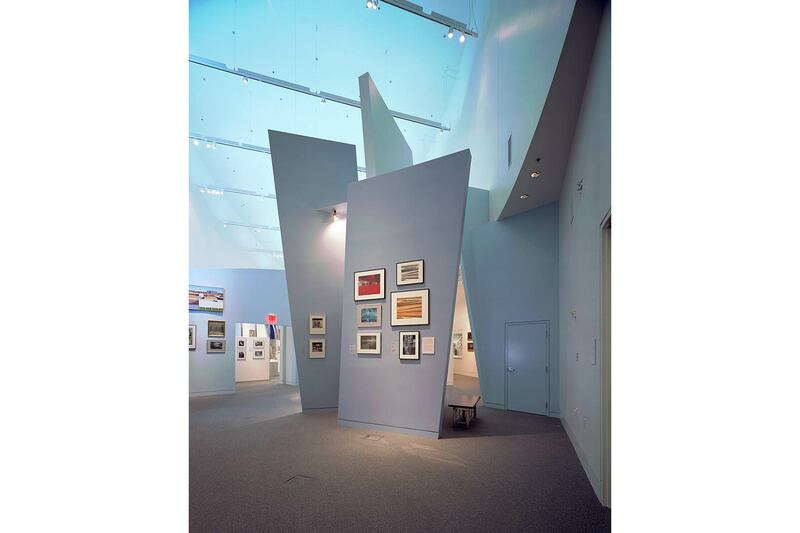 Using color and light; provocative, anticipatory views; opacities against translucencies; and extraordinary forms, LCS developed a dramatic exhibition environment. 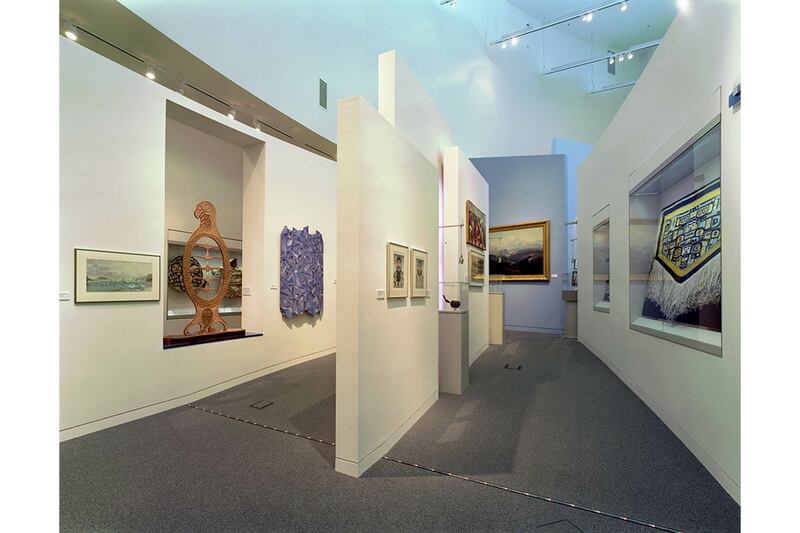 The gallery is meant to remind visitors of the context of this unique and exceptional place in the world. 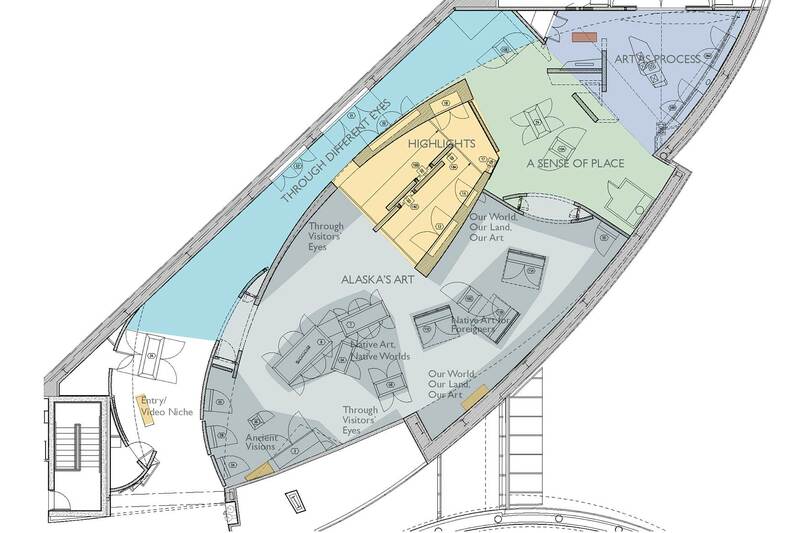 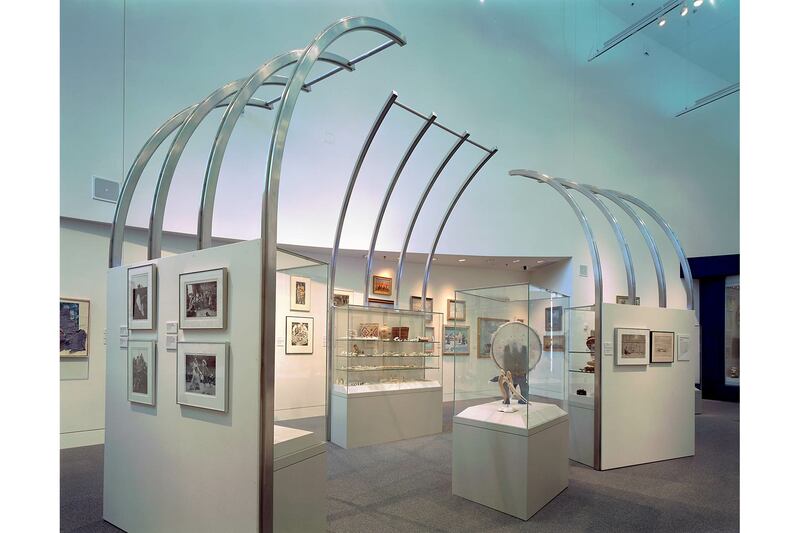 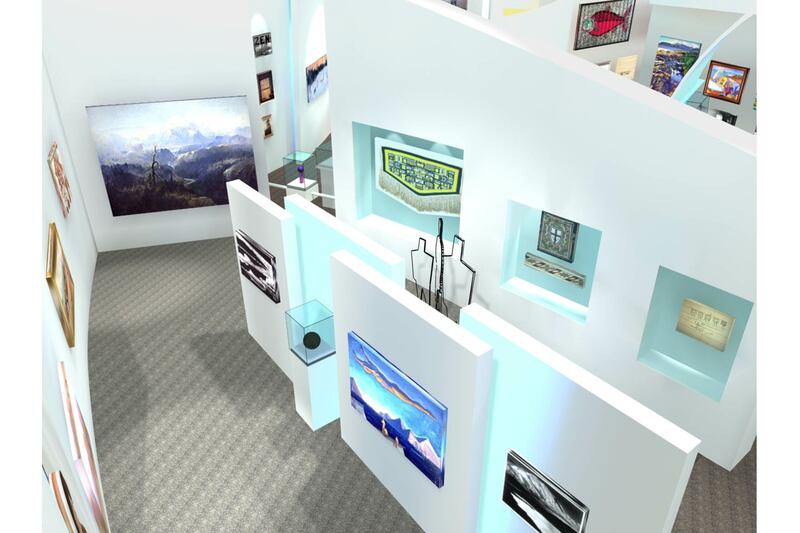 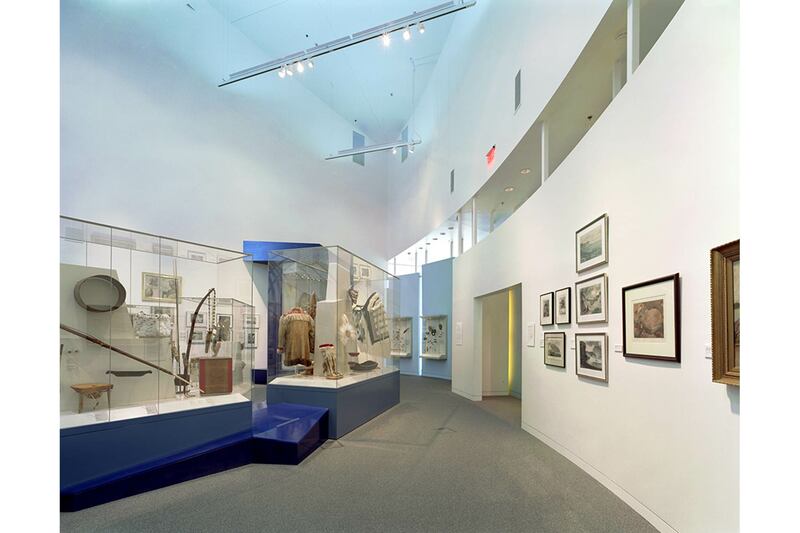 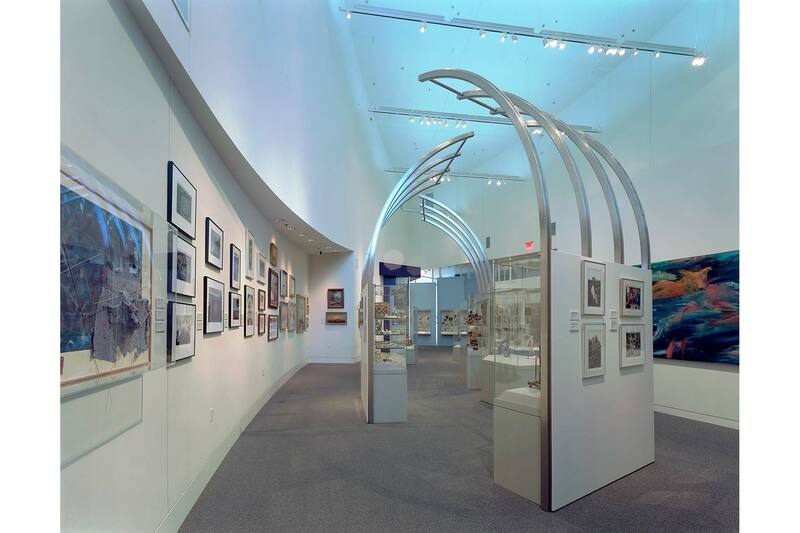 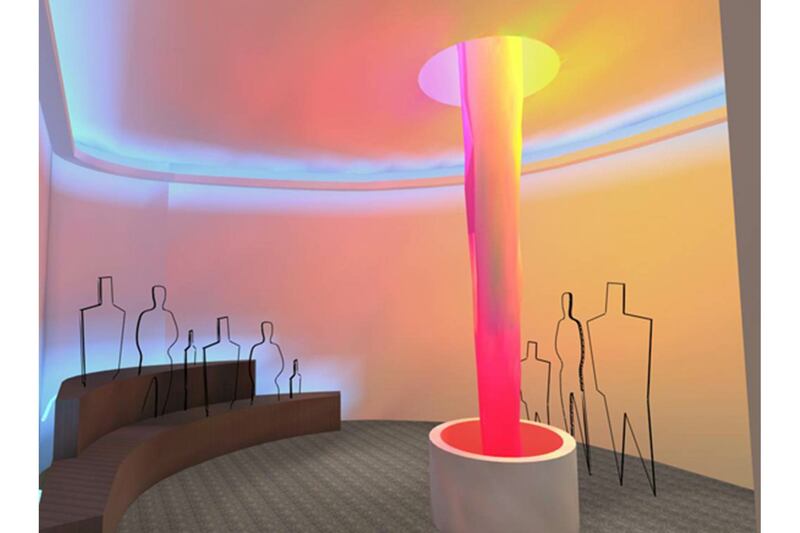 Designs by LCS for this project include Rose Berry Alaska Art Gallery, Living Room, Visible Storage Gallery, and the Temporary Exhibit Gallery. 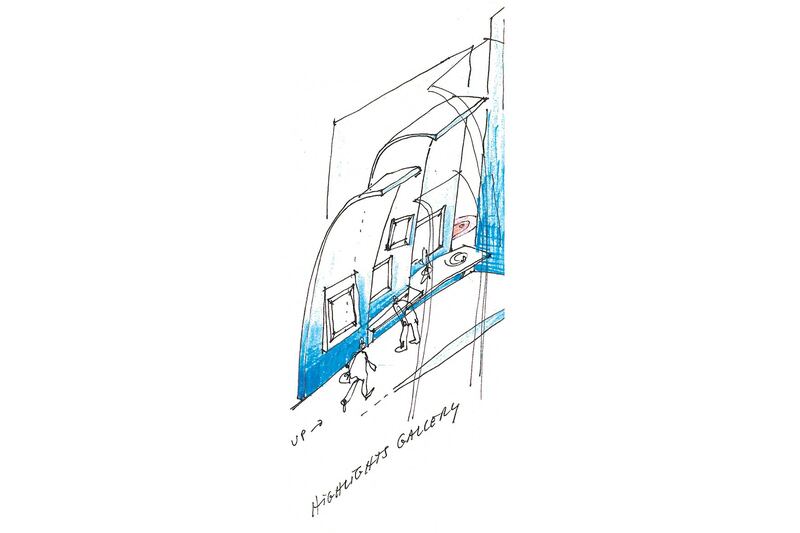 Mindy also developed the initial idea for the Listening Gallery space. 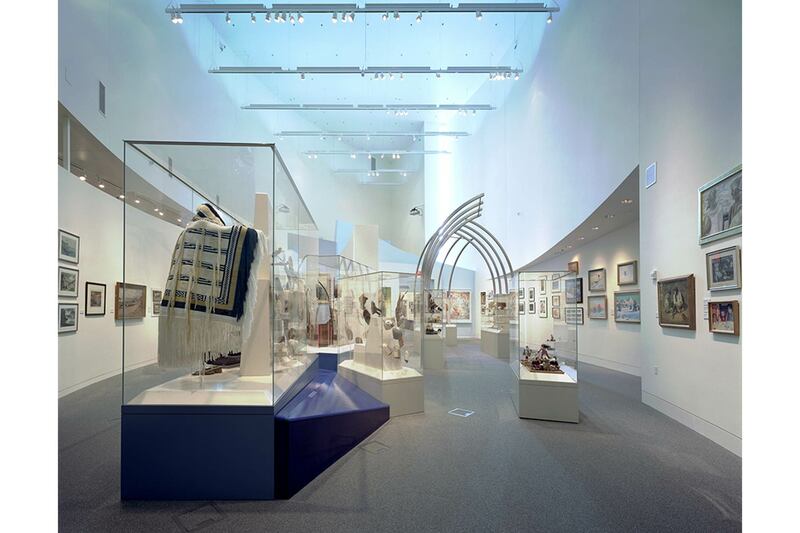 The primary exhibition, entitled “A Sense of Place”, explores the UA Museum collections of Alaskan art—through the eyes of resident Alaskans, Alaska natives, and visitors. 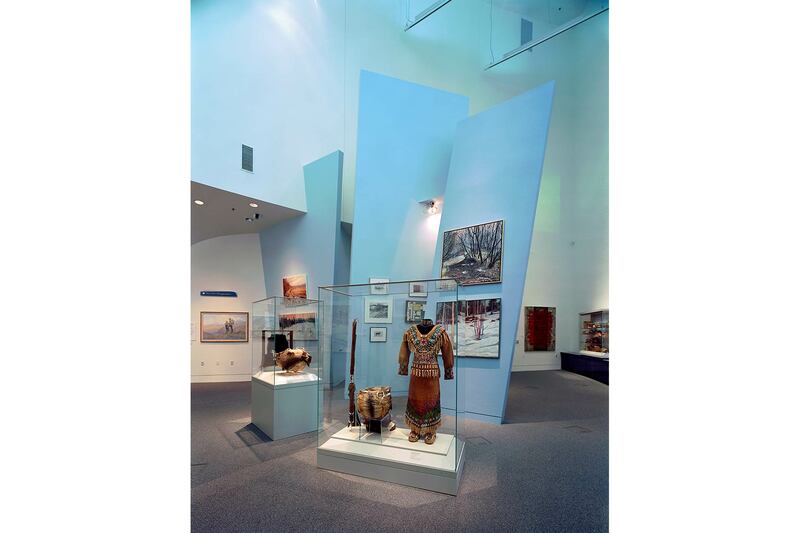 We incorporated a variety of display techniques, media applications, and lighting solutions in response to the soaring architectural design of a building with few right angles or parallel lines. 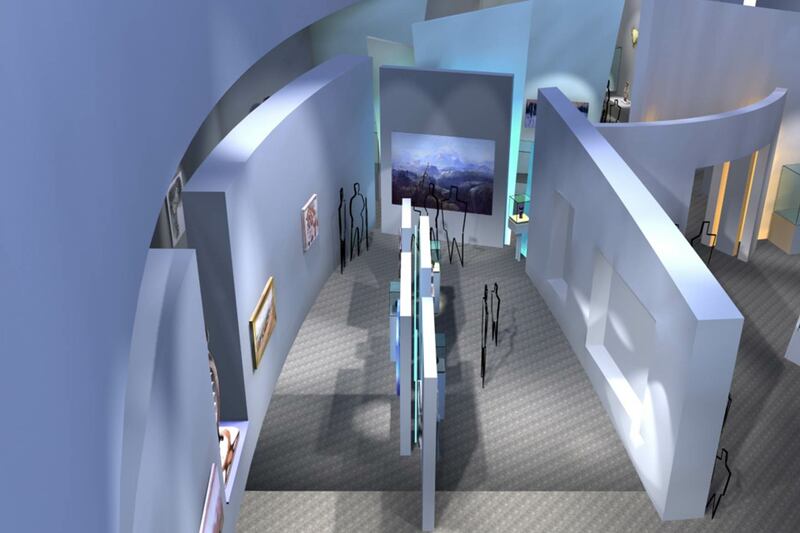 Some of the images shown here were computer generated during the design process. 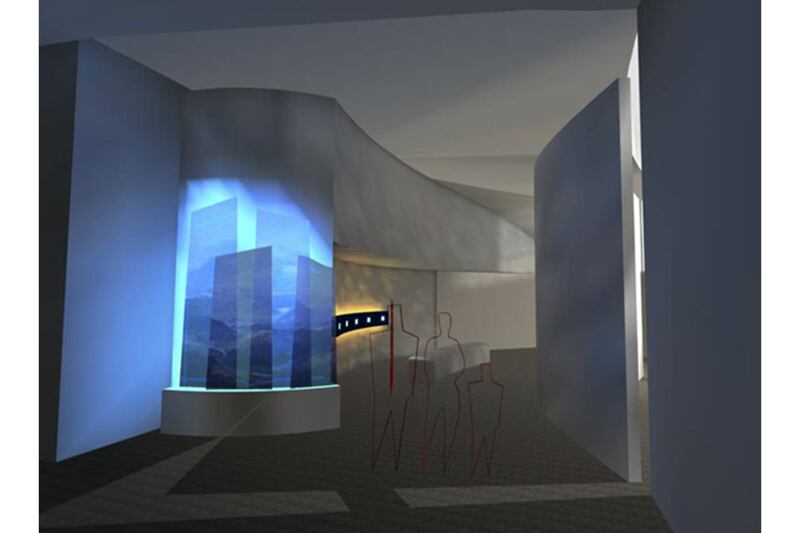 Actual photos of the finished site are © Brian Allan, 2006.